A Group of Companies with 30 years of international experience within the Diamonds, Gems and Jewelry business. Originated in South Africa in 1981 the Company moved to Mauritius in 1994 to diversify its activities from a stable, multicultural and internationally exposed center. Since 2015 the Group include a Company licensed in the DMCC of Dubai which focus on the gem’ sourcing and trading. The rich heritage of European, African and Asian cultures, as well as the abundanceand variety of the gems directly outsourced from the neighbour India, Africa, and Madagascar, have undoubtedly influenced Bijem’s activity and inspired its developments. Trough the years a number of Bijem’s own « Duty Free » outlets have been established in some of the most prestigious locations where its collections and an accurate selection of the most reputable brands (Hublot, Carl F Bucherer, Gucci,Pomellato, Bochic,…) are appreciated by an international clientele. The ideal year-round climate and extraordinary natural beauty of Mauritius is treasured by the most seasoned of world travelers which are often repeating clients of Bijem’s Boutiques. 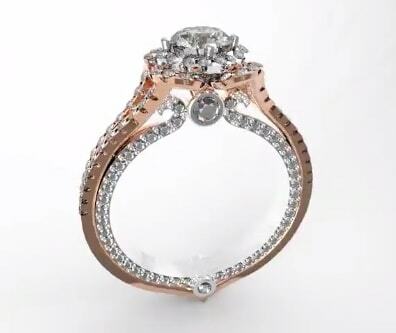 Extensive experience in the jewelry manufacturing combined with latest design and prototyping techniques to present our clients with the most qualified services suiting their budget and indications. 20 years of manufacturing cooperation with some of the most prestigious brands in the jewelry industry have created the background of our skilled labor force. Excellent cost/quality ratio and manufacturing costs defined on the client’s standard specifications; GSP and EUR1 certificates granting Duty Free access to the US and EC markets.